Basics, e.g., address, qualifications, references, etc. Most people use a mix of the two approaches when interviewing a nanny, starting out formally and relaxing a bit as they go. Note, though, that the interview sets the tone for the job, and most good nannies don’t see the job as a cut-and-dried affair. Therefore, avoid grilling your applicants: more than most employees, a good nanny will invest herself in the job, accepting personal responsibility for its every aspect. Accordingly, a tone of mutual respect may serve you best. Breaking the ice – discussing basic requirements and expectations on both sides, Do you like her? Does she have the skills you seek? Can you talk to each other comfortably? If so, it’s time for Step 2. 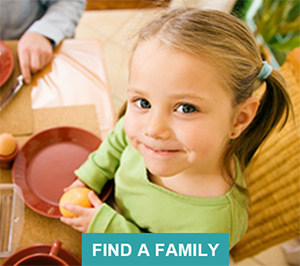 It’s also important to see how each applicant relates to family members, not only children. You can leave her alone with any or all of them for a bit — excuse yourself to get her some tea or coffee or a glass of water, and give them time to get to know each other. Take your time, and stay tuned to the responses of all. You may want to hire then and there, pending speaking to references yourself if you have not already done so. Some families will offer the job but ask the candidate to take 24 hours to think it over. If both parents have interviewed, be sure to take time to confirm impressions and details before making your offer. If your spouse will not participate in hiring, be sure in advance that your decision is all that counts. If you are uncomfortable interviewing a nanny in your home, meet in a neutral place — take her out to lunch. If all goes well, though, do that guided tour. You need to see each other in your home to know how it will go. If at any point you determine that a candidate is not (or may not be) for you, trust your gut: simply end the interview. Thank her for coming, — you are interviewing others and will let her know. Your reasons may be objective (e.g., poor skills, too little experience) or subjective (e.g., not forthcoming, too bold, no chemistry), but they are your reasons. Follow through with a quick phone call a few days later. 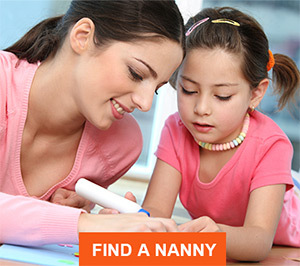 Copyright nanny.com. All rights reserved.